One thing I’ve learned recently about the publishing process is that there are a lot of people involved. Every step of the process takes someone new – even for something like a zine. 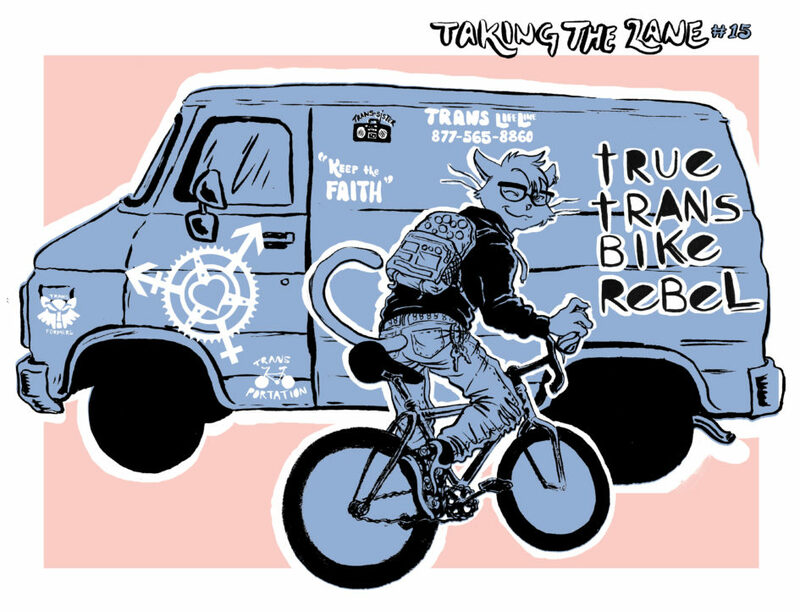 For True Trans Bike Rebel, in addition to myself, two other people have already had a hand in helping with edits – with the distinct possibility of more to come – and that’s not even taking into account layout/design, final proofreading, and more. With so many cooks in the kitchen, one of the things I had to establish was a style guide. A style guide did two things: one it clarified spellings and use of words that not necessarily everyone was familiar with, and two it saved me from having to sit down with everyone who read the manuscript and explain things like “transgendered is not acceptable”. (I’m still irritated that spellcheck thinks it’s a word, but that’s beside the point.) I knew without some sort of direction, a well-meaning but uniformed proofreader would introduce errors. By establishing a style guide, I could simply put “Don’t use this” without spending a great deal of time on telling every person the exact details of what was and wasn’t okay. If people wanted to know more, they could use google, or ask me directly. When I sent off the final manuscript, this is the guide I put together. I wanted to share it publicly so that people can get a little insight into how things work – and because it will form the basis of the style guide for The Great Trans-Universal Bike Ride – though I’m sure it’ll be expanded upon then. Please note: this is not saying these words are wrong and you shouldn’t ever use them – this is simply the guide I used for this zine and will be using for the upcoming book. While words such as “transsexual” are incorrect in the modern vernacular in most cases, self-identification is a perfectly acceptable use. “Non-binary” is also technically correct, but not preferred. You can check specific genders not listed here against the nonbinary wiki. Because so many of these are new terms, priority is given to clarity and consistency within the individual essay over going by the ‘official’ format of the word.